In a matched subjects designs, researchers attempt to emulate some of the strengths of within subjects designs and between subjects designs. 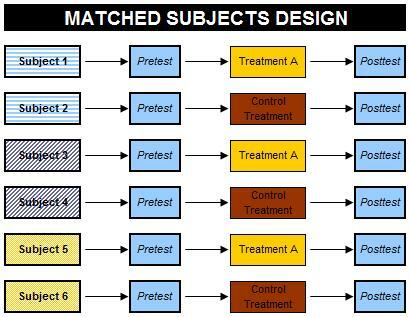 A matched subject design uses separate experimental groups for each particular treatment, but relies upon matching every subject in one group with an equivalent in another. The idea behind this is that it reduces the chances of an influential variable skewing the results by negating it. 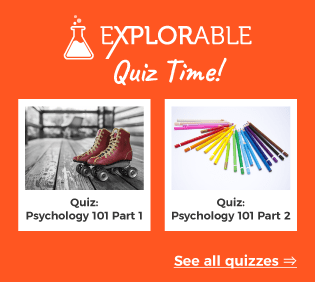 What is a Matched Subjects Design? Matched subjects designs are often used in education, giving researchers a useful way to compare treatments without having to use huge and randomized groups. For example, a study to compare two new methods for teaching reading uses a matched subject research program. 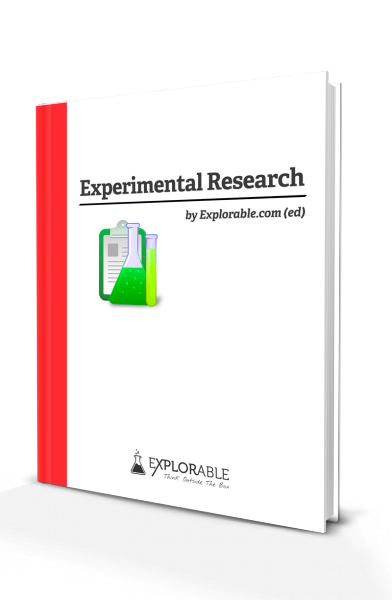 The researchers want to compare two methods, the current method and a modern method. They select two groups of children and match pairs of children across the two groups according to ability, using the results of their last reading comprehension test. If the researchers wanted to test another method, they would have to find three comparable children to compare between the three groups. It is also possible to match for more than one variable. For example, a study to test whether a daily exercise routine improved the cardio-vascular health in the inhabitants of a nursing home could match subjects for age and gender. It may also be possible to match smokers and ex-smokers. Obviously, given the complexity of humans and the sheer number of factors that can influence behavior, this is exceptionally difficult for every factor, without huge groups and making the project unnecessarily complex, especially if you are testing multiple treatments. The overall goal of a matched subjects design is to emulate the conditions of a within subjects design, whilst avoiding the temporal effects that can influence results. A within subjects design tests the same people whereas a matched subjects design comes as close as possible to that and even uses the same statistical methods to analyze the results. This eliminates the possibility of differences between individuals affecting the results. The matched subjects design also utilizes the strength of the between subjects design, in that every subject is tested only once, eliminating the possibility of temporal factors, known as order effects, affecting the results. Whilst the design is an excellent compromise between reducing order effects and smoothing out variation between individuals, it is certainly not perfect. Even with careful matching of the pairs, there will always be some variation. In the nursing home example, there are far too many factors influencing cardio-vascular fitness that the researchers can only hope to match the most influential variables, which is an approximation. In addition, the researcher might be incorrect in their assumptions about which variables are the most important and miss a major confounding variable. Even the single variable may have been measured incorrectly; in the educational example, one of the children may have had a really bad day, been ill or suffered from nerves, giving her a much lower score than her reading comprehension would indicate. Despite these disadvantages, matched subjects designs are useful, allowing researchers to perform streamlined and focused research programs whilst maintaining a good degree of validity.